Craw Kan Team of the Week is Frontenac girls track and field. 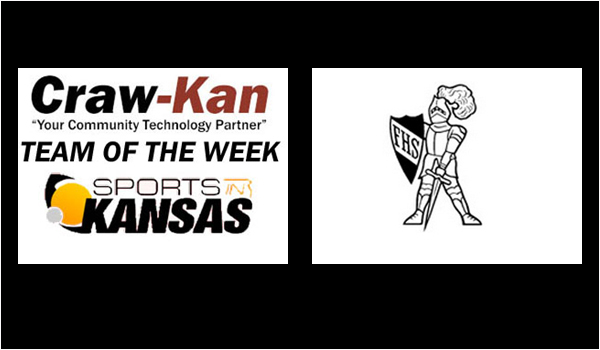 This weeks Craw-Kan "Your Community Technology Partner" Team of the Week from the Southeast Kansas area is the Frontenac High School girls track and field team. Frontenac got first place finishes from Autumn Bryant (Discus), Jadyn Meyer (800 meters), Jessica Peterson (1600 meters), 4x400 relay (Gracen Hipfl, Aleah Mellnick, Meyer, Peterson) , and 4x800 relay teams (Hipfl, Mellnick, Meyer, Peterson). Frontenac will be back in action at their home meet this Thursday in Frontenac. Craw-Kan would like to congratulate the Raiders on a season opening win. On the boys side of the Bulldog Relays, the Galena Bulldogs took home first place.